Australian scientists have made an exciting, world first breakthrough in pregnancy research. The new discovery has the potential to help couples avoid the heartbreak of miscarriage, or to prevent a child being born with a birth defect. One in four pregnant women experience miscarriage, and almost 8 million babies worldwide are born with a serious birth defect every year. This news is set to change the way pregnant women are cared for in the future. Annually, 3.3 million children under the age of five die from a serious birth defect. Congential heart disease affects one in 100 babies. Until now, the cause of these problems has been a mystery. What Did The Miscarriage Study Find? After 12 years of research, the team of researchers at Victor Chang Cardiac Research Institute, led by Professor Sally Dunwoodie, have discovered that low levels of a coenzyme called nicotinamide adenine dinucleotide (NAD) stops babies’ organs from developing properly in utero. This deficiency is a particular problem in the first trimester of pregnancy, when an embryo’s organs are developing. In a rare double whammy, the researchers also made another discovery: the deficiency could be resolved simply by supplementation of vitamin B3 (niacin). NAD is one of the most important coenzymes found in all living cells. Synthesis of NAD is essential for energy production, cell communication, and DNA repair. The amazing discovery was made when the researchers sequenced the genes of families who had a history of miscarriage, and babies with multiple birth defects. They identified two gene mutations that interfered with the metabolic pathway that produces NAD. The team engineered mice with the same genetic mutations, and found their offspring were either miscarried or had serious birth defects. After the mice were supplemented with niacin, the offspring were born healthy. The research has highlighted the interaction between genetics and environmental factors that can potentially cause birth defects. A healthy person makes NAD using vitamin B3 as a starting point. 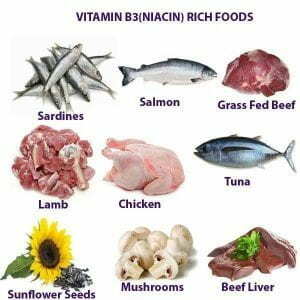 Sources of vitamin B3 include foods that contain niacin, such as turkey, chicken, grass fed beef, green peas, liver, mushrooms, peanuts and broccoli. Most prenatal multivitamins contain niacin. However, a recent study has found at least 30% of pregnant women have low levels of vitamin B3 in their first trimester, despite taking prenatal vitamin supplements. By the time they reach the third trimester, 60% of pregnant women have low vitamin B3 levels. This suggests women are either not absorbing enough niacin from their diet, or they need more niacin than prenatal supplements provide. 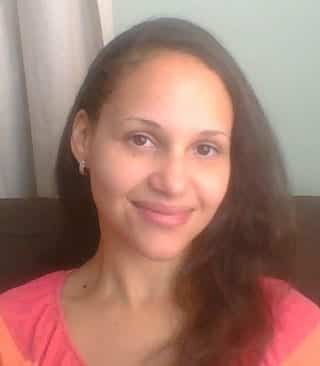 Should All Women Supplement With Niacin? So is it as simple as ensuring all women have an adequate source of vitamin B3, before and during pregnancy? Should there be recommendations to supplement vitamin B3, similar to recommendations to supplement folate? The research team isn’t claiming to have discovered the source of all birth defects and miscarriages. Neither are the researchers saying higher niacin levels will prevent these problems. Further research is needed, to understand the benefits of vitamin B3 during embryo development, as well as the timing of supplementation, and optimal dosage. Excessive vitamin B3 can cause dizziness, nausea and diarrhoea. However, the results of this research suggest it’s best for women to make sure they have adequate levels of vitamin B3 in their diets before becoming pregnant, and to ensure their prenatal supplement includes this important nutritional element. The recommended daily intake of niacin for pregnant women is 18mg per day, from all sources. The researchers’ next step will be begin development of a diagnostic test, to measure NAD and help identify which women are at risk for having a baby with a birth defect.